I scream, you scream, we all scream for TEAM WORK! 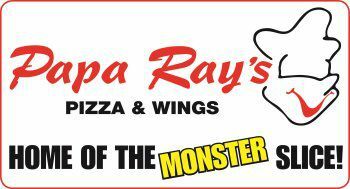 All hands are on deck during this Chicago snow storm at Papa Ray's Pizza and Wings and we know the last thing on your mind is leaving your house to go pick up dinner. So let us bring dinner to you! Take advantage of our online ordering and then put your feet up and wait for us to come to you! This Logan Square pizza and wings joint is the perfect fix for a snowed-in night.